Hello everyone, dear Spectrubes fans! The game has been for about two years. Thanks to everyone who bought it and played it for this period! At your requests level selection was realised. Unfortunately, due to the records, you can only select levels n1 (11, 21, etc.). Of course, you can’t immediately select level 91, if you just started the walkthrough. The game checks the save slots for walkthrough of early levels. You can choose level in the submenu "New game" with the left and right arrows, the level number is indicated in parentheses. Try it now! 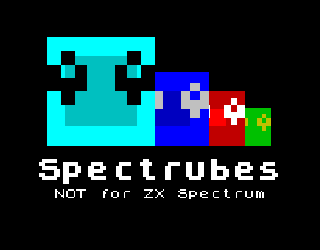 Thank you all again for supporting Spectrubes so far! I hope the game will find more fans, since now the game has a 66% discount in honour of the autumn sale. Hurry up!